We know plenty of people who think of their “yoga hour” as a blessed chance to tune out from the rest of the world, while tuning into themselves. They leave work behind, put their cellphones far away (or – yes, it’s true – turn them off completely! ), and make some serious space for their souls. Instead, it could be a tool for making incredible connections with the people we often love most unconditionally – our children. the NJYC put out a request for quotes, thoughts, and take-aways from yogi moms and dads who have brought their babes onto the mat. NO yoga experience is needed at all. If all-adult, all-level yoga classes intimate you, this is absolutely your chance to drop all fears and get down, dog. The purpose of a mom/dad & baby class is connection – to yourself, your baby, and other new parents. No fancy sequences, no fancy yoga pants (unless you live in them for all the things, like we do). Just you, your wee one, and a whole room of equally exhausted humans who are very happy to be in the same boat (pose) as you. It’s a “mommy-brain” buster. Remember “pregnancy-brain”? Well for most of us, that mindset (or lack there of) is quickly followed by mommy brain. A sleep deprived mama can become quite forgetful. Spending some time in meditative yoga poses helps increase brain activity and help your short-term memory get back on track. Relieve some of the yucky stuff. Yoga stretches and postures can help alleviate digestion, constipation, gas, and colic. Bonus points if you find a teacher who is certified in infant massage – there are specific routines that work wonders for tummy issues. You get out of the house. Please do not EVER underestimate the importance of making plans that get you moving and grooving in those first few months of mommyhood. Having a new baby can be overwhelming, and sometimes it feels easier to just stay in the house (in sweatpants). Don’t give in to that sensation! Hop in the shower, throw your hair into a top knot, and get out the door. You’ll thank us later. And now we have some REALLY good news for our yoga moms, dads, and babes in the Northern Monmouth County area! Firefly Yogis in Rumson is starting a new ‘Yoga With Littles” class on February 5, 2019. 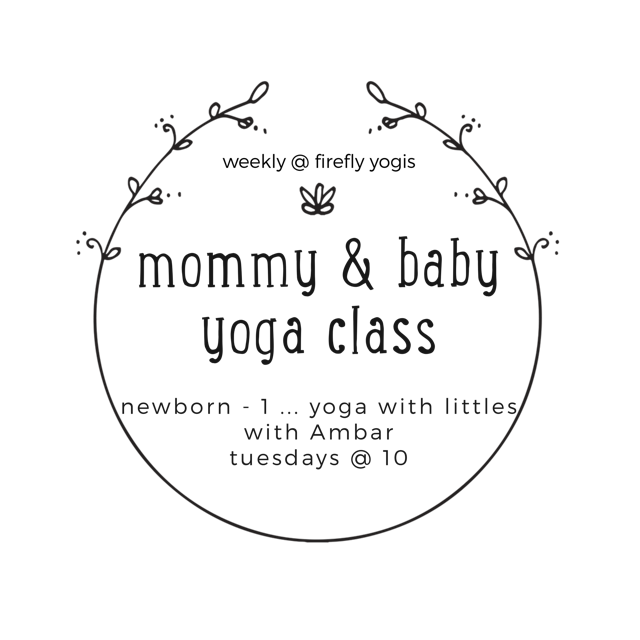 This weekly program, happening each Tuesday, was lovingly designed designed to help moms and little ones connect and bond through the gift of yoga. Each class includes fun, child-friendly yoga postures and sequences, breathwork, affirmations, and relaxation exercises. Yoga is the perfect way to ease back into physical activity after having little ones. 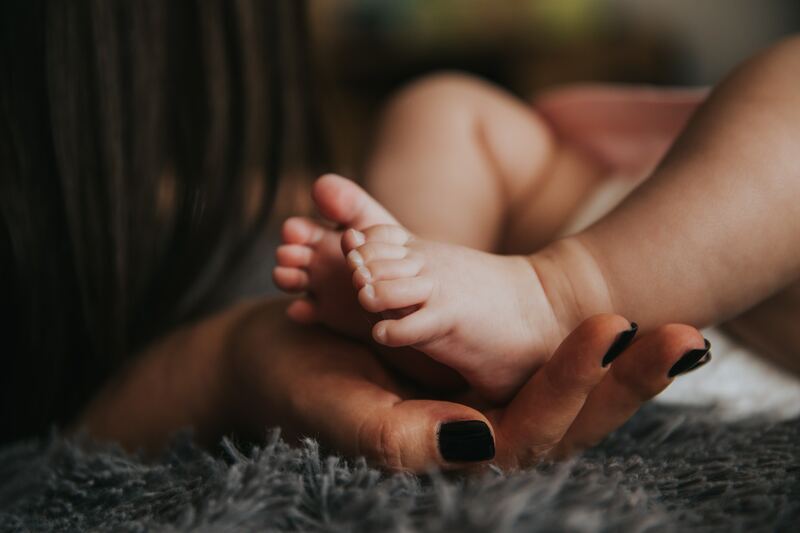 These classes will help you connect with your baby while also taking time for self care and meeting other moms with littles. We also highly recommend our parents in Southern Monmouth County & Ocean County check out Bee You Yoga‘s Mommy & Bee program, which is offered on Mondays, Wednesdays, and Thursdays. Bee You, located in Manasquan, is exclusively dedicated to younger yogis ranging from 6 weeks to 18 years old.